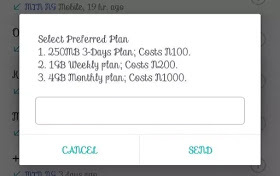 MTN Dealzone which was unveiled some weeks ago was said to offer 4GB for ₦1000, 1GB for ₦200 and 250MB for ₦100. Mtn Customers were very happy about this update until they discovered it also depends on eligibility. Well, the main reason many MTN users haven't been able to use this DealZone data is simply because the plan was made for those that have not used their SIM in 45 – 180 days period. In brief, MTN DealZone is more like a welcome back offer , and it also gives eligible users 2000% bonus on his/her first recharge during this period. 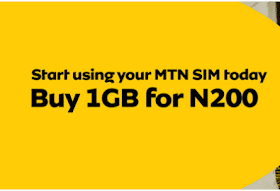 To enjoy the MTN DealZone special data plan, simply look for an old MTN SIM you haven't used (to make call, text nor browse) in 1 - 3 months and then you can subscribe and activate the DealZone data plans of 4GB for ₦1000, 1GB for ₦200 or 250MB for ₦100. You can perform a SIM swap if you cannot find your SIM. Can I purchase multiple MTN Welcome Back special data bundles? That's all you need to know about MTN DEALZONE but if you're don't have any of the requirements you can check on Mtn mpulse which offers 1.2GB for n150.